Betsy Soifer was born and raised as an artist’s daughter in suburban eastern Pennsylvania. Encouraged by my father and his artist friends, I dabbled in drawing, pen and ink, painting, and sculpting using both clay and wood as my media. With the financial help of my parents, I completed a traditional 4 year college majoring in science. Additional degrees included a Ph.D. in Pharmacology and a M.D After working 25+ years as either an anesthesiologist and/or intensive care physician, sculpting resurfaced in 2009 in the form of animal Christmas gifts to friends and family. Having completed some introductory welding classes, my lack of a supporting metal shop did not slow my need to create. 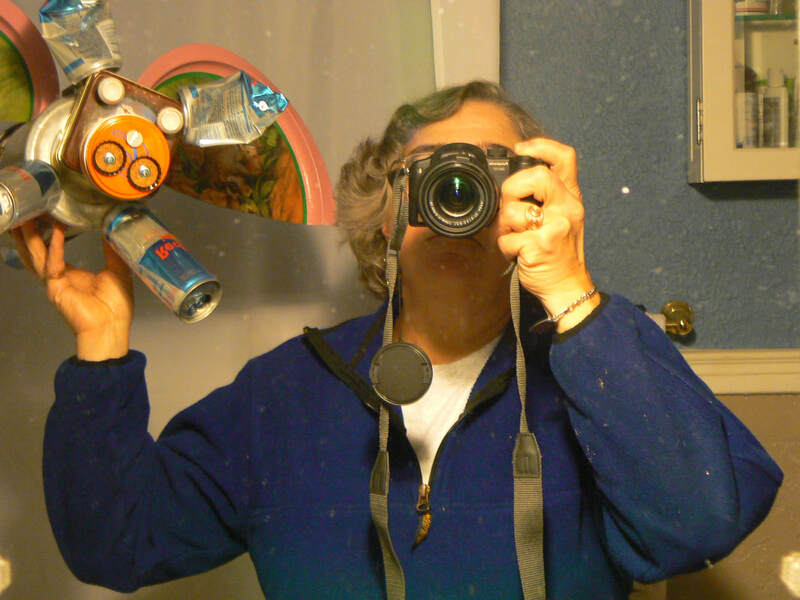 Using nuts/bolts/metal screws, a hack saw, an angle grinder, a drill press, and a drill, I enjoy the challenge of converting recycled scraps of metal [including kitchenware, plumbing parts, construction hangers, hub cabs, knobs] into whimsical creatures for folks to smile at and enjoy. I make free-standing creatures that mimic nature. Flying animals have always fascinated me and my constructions including pigs, birds and insects. Wall-hanging pieces are either recycled metal taxidermy take-offs or modified mailboxes or clocks. I have been fortunate to participate in the following shows and galleries: Cracked Pots Garden Show; Clark County Recycled Arts Festival in Vancouver; Portland neighborhood fairs including the Belmont Street Fair, the Main Street Craft and Art Fair, and HollyWOOF; daVinci Middle School Art Fair; Buckmann School Art Fair; Portland Open Studios; Currents Gallery in McMinnville Recycled Art show; The Green Show at the Cannon Beach Art Association; Next Step Precycling Art Show in Eugene, Oregon; ReArt in Billingham, Washington; The Art of Sculpture and the Open Show at the Lake Oswego Festival of the Arts; Gresham Art Committee Shows; Check Em Off Recycled Art Sale in Vancouver, Washington; Sherwood Altered Arts Festival; Oregon City Festival of the Arts; Gresham Festival of the Arts; The Red Raven Gallery in Salem, Oregon; Yamhill Lavender Festival; Monkeyshines Studio and Gallery in Goldendale, Washington; Six Days Art [now Alberta Street Gallery] in Portland, Oregon; Wilsonville Art Festival; Grizzly Ridge Upcycle in Sisters, Oregon; Billy Goat Vintage in Portland; Art in the Garden in Penisula Park;ans soon the Clark County Open Studios. 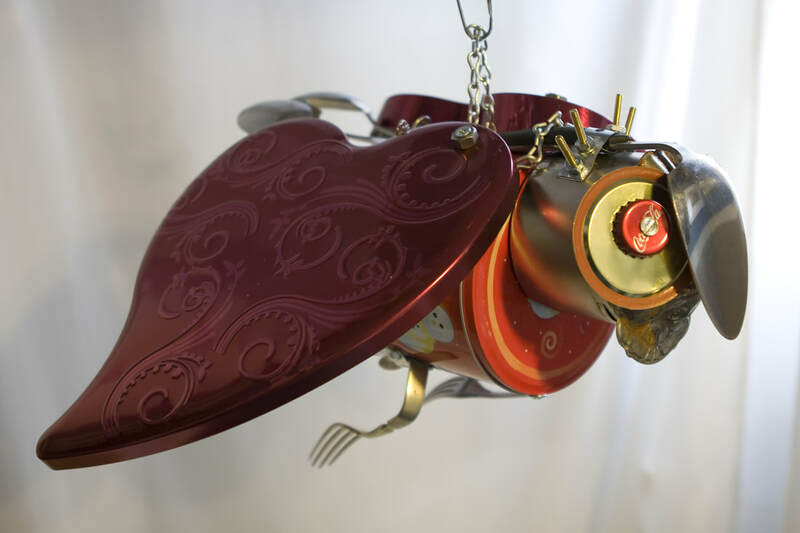 Betsy Soifer is a retired physician who now sculpts recycled mixed metals into whimsical creatures for the home and garden.